Assisted living in Pittsburgh checks in below the national average. The 2015 Genworth Cost of Care Survey lists the average annual cost to be $36,900, which is far below the U.S. average of $43,200. On a per month basis, this annual figure breaks down to $3,075 per month. If you look at things from a daily rate, the cost hovers around $101 per day. Assisted living is lower than the average range for home health care in Pittsburgh, which ranges from $48,048 per year for homemaker services and $49,192 for home health aide services. Assisted living is also substantially less expensive on average than nursing home care in Pittsburgh; the average cost for semi-private nursing home care in Pittsburgh is $92,345 per year, and the average cost for a private room is $110,960 per year. No two assisted living facilities will be the same as each one has its own culture and personality. Pittsburgh has about 60 assisted living communities within the city, and then 14 more on the outskirt areas. Each facility offers its own set of amenities, and many create a personalized care plan based on the veteran's specific needs. Since the care provided to seniors is personalized, assisted living communities have standard services offered with the residents' monthly fees, but they also offer a wide selection of a la carte services that cater to a senior's preferences. Additionally, those communities that are billed as luxury communities will offer an assortment of high-end services for those who want them. A private room – usually a studio or 1-bedroom apartment, but could also be a multi-bedroom space. Wellness and fitness programs such as a walking club or on-site pool area. Social and recreational activities such as themed parties, game nights, movie nights, and day trips to museums and performances. Veterans in Pittsburgh can always reach out to the Veterans Outreach Center, and the Military/Veteran Resource Network. These options can help veterans go through their benefits to help determine what is available to them. All three have information and resources to help veterans in other ways, as well. Navigating veteran benefits can be confusing for a lot of veterans, so there are certainly volunteer positions available with any of these resources to help explain things to other veterans. However, one of the most valuable volunteer opportunities available to veterans in assisted living is through helping other vets work through their PTSD or other emotional issues around being stationed overseas. A veteran knows exactly what another veteran is going through and sometimes having a support group helps the healing process. 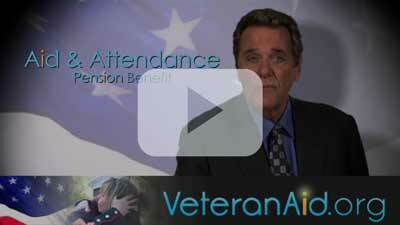 The VA can always use more volunteers. Pittsburgh doesn't have much in the way of military attractions, but the warm weather certainly helps appease older joints. That being said, Arizona is all about the old West, and many of their attractions highlight that heritage. There are art museums, history museums, breweries, and more. Veterans visiting the historical sites in Pittsburgh will get to learn about famous outlaws and lawmen, and how they clashed in the old West.